There are plenty of ways to harvest pheasants, but if you are new to it, chances are you will experience a few sounding failures on your first hunting trips. However, there are certain pheasant hunting tips that can make your life easier – you no longer need to make mistakes to learn, but learn before you even go out. Pheasants have lost lots of habitat lately. They have been native in most continental parts of Europe, Asia and America, but the habitat loss reduced the population. Fortunately, authorities tend to supply stocked pheasants and release them into the wild on a regular basis. Most of this information is public. You know where the pheasants will be released, but also how many of them. Why is this so important? Easy! 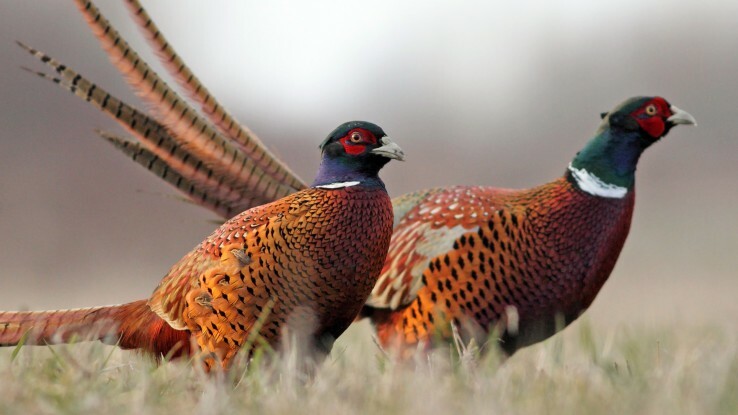 Stocked pheasants have not been raised in the wild, so they make easier targets. If you know the date and location, chances are you will end up with a good barbecue by the afternoon. Why stress yourself when you can just let pheasants come to you? Go deep inside the hunting area, way deeper than other hunters. Avoid the crowds and just wait for the pheasants to run towards you while being chased away by other hunters. Find hidden faraway areas by driving on side narrow roads less known by city hunters. Most importantly, always remember to stay safe. By lunchtime, most hunters on the field will be out for a meal – be it a long lasting barbecue or some packaged food. There is a time when everyone just goes quiet for an hour or two. 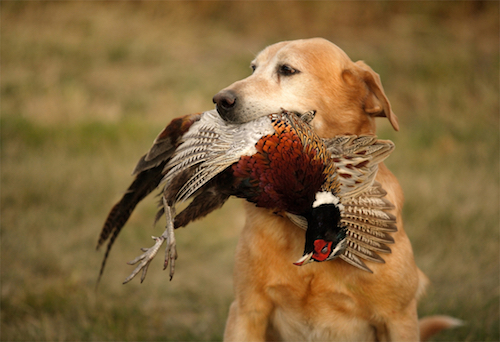 That is when most pheasants come out of their hiding places – one of the best pheasant hunting tips. A smart hunter will work the other way around – take advantage of this break and get the game. It is essential to be quiet when using the lunch break to hunt. How many hunters actually pay attention to the dressing code? You do not necessarily have to look like a hunter, but be efficient. If you barely drag your feet while sweating under 100 degrees, chances are you will not have the energy to make a perfect shot when the opportunity strikes. Get rid of one layer after another as the temperature raises or add more clothing if the temperature drops. Stick to lightweight weapons and boots too – they are more agile and easier to handle. In a world where many newbies believe that all the birds are in the sky, pheasants are different and often choose to run. Sometimes, they will stay hidden in some bushes, rather than opening themselves in the sky. It is quite unusual, but there are times when you will hunt pheasants like you hunt rabbits, so do not be surprised to see them running around you. Make sure to always have your hunting weapons ready. In the end, these are all quite a bunch of helpful pheasant hunting tips to help you get started. Every bit of knowledge can help you put meat on the table or barbecue by night fall.